When I started using owner financing to sell my properties – it was a BIG strategic step forward for my business. By allowing my buyers to make payments to me over the course of several months/years (rather than requiring one lump sum at closing), I was able to sell my properties MUCH faster and for more money than ever before. 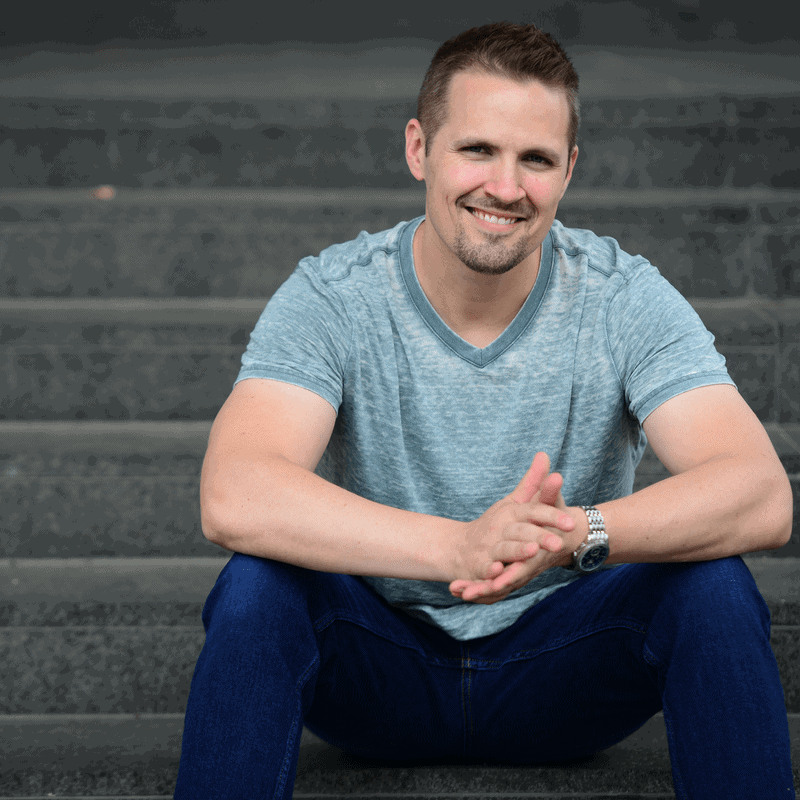 It also helped create several streams of passive income (and believe me – when money starts coming in while you sleep, it adds a lot of stability to a growing business). But for all the good it did, it took me a long time to figure out how to collect these monthly payments the right way. From the very first deal, I had a lot of misguided assumptions about how it was supposed to work. Whenever I set up a new loan, I would collect physical checks from each borrower every month. For every existing loan account, I would manually track their payments with some archaic computer software. When borrowers missed their payments, I would create and send out late notices via snail mail. When I needed to communicate with my borrowers, I did it in the slowest, most tedious, most ineffective way possible. In short – my approach was obsolete and it made my life WAY harder than it needed to be. I was doing things the same way they were done 30 years ago, while overlooking some of the recent innovations in the finance industry that could make this process 10x easier (without any additional cost or effort from me). As time went on, I eventually started using a loan servicing company, which greatly simplified my life and took a lot of time-consuming work off my plate… but even so, I didn't realize there were some even less expensive, more scalable options available for automating these loan payments and making my life even easier. In my search for a better solution – I found some pretty innovative new ways for setting up a fully automated “set it and forget it” system for collecting loan payments (and it didn't require a loan servicing company to act as the middleman). One of those ways is to set up an automatic ACH withdrawal from the borrower's bank account with a service called ZimpleMoney. With ZimpleMoney, you can establish a source of repayment that is automatically withdrawn from the borrower's checking or savings account (without notifying the borrower of each payment and without requiring their ongoing permission each month). ZimpleMoney isn't so much a “loan servicing software” as it is a back office automation product (with the same software functionality built into it). It's a fantastic solution for real estate investors utilizing seller financing, but it's also a great solution for ANYONE who is lending money and wants to track (and fully automate) the repayment of it (e.g. – Car Dealerships, Doctors, CPAs, Trust Companies, Moms and Dads, Rich Uncles, people making 401k loans, etc.). 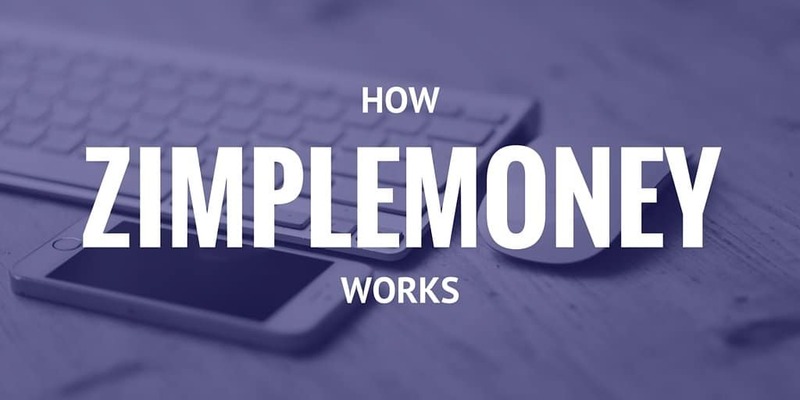 As I explain in the video above, setting up a new loan with ZimpleMoney (aff link) is very easy. You can simply enter in the information from your loan agreement (the loan amount, interest rate, duration of the loan, etc.) and it will emulate whatever is in your contract. When a loan is created, both the lender and the borrower will have their own ZimpleMoney account – so they can log in at any time and check the current status of their loan balance and upcoming payments (not all borrowers will be interested in doing this… but it's there if they want to see it). At the time of this writing, there are several different pricing plans available. Which plan makes the most sense for you? It depends on whether you're an occasional lender or if you regularly extend loans to your customers. If you're someone like me (who typically has a handful of loans being paid at any given time), the ZimpleMoney Plus or ZimpleMoney Pro “Business Plans” probably make the most sense. The only significant difference between the two is the monthly cost. The “Plus” plan is $20/mo. The “Pro” plan is $35/mo. What do you get for the higher monthly cost of ZimpleMoney Pro? Besides the slightly smaller setup fee for each new loan account ($35 for each new setup with Pro, instead of $39 for each new setup with Plus), a ZimpleMoney Pro account offers you the ability to be the ACH Merchant. This gives you much more control over the creation of each new loan account. Rather than simply sending the borrower a link to create their own account and fill in their details (as I show in the video above), the borrower can give their details directly to you and then YOU can create their account for them. This may not sound like a big deal – but when you're dealing with a borrower who isn't necessarily a “tech-savvy” person (a surprisingly common occurrence these days), the added capabilities of a Pro account can help you eliminate confusion and avoid unnecessary mistakes on the borrower's end, while allowing you to make sure each borrower's account is set up correctly, BEFORE the first payment is due. For all the control freaks out there (you know who you are), this is a pretty nice thing to have. Here's a breakdown of the additional costs associated with each type of account. Setup Fee (required to create each new loan) – $39 for Plus / $35 for Pro (Note: This fee can be passed on to the borrower as a “closing fees”). Transaction Fee – minimum of $3.99 for each regular payment collected, and up to $14.99 for every successful transaction (Note: These fees can be passed on to the borrower as “Taxes & Servicing Fees”). Insufficient Funds or Returned Items – $15 (when someone puts a stop payment and you try to process it multiple times). Notice of Change (NOC) Fee – $4.50 (when the Banking System or Federal System has to modify your account). Keep in mind, you can also use ZimpleMoney for FREE with a plan called ZimpleMoney Essential. This is ideal for someone who wants to test the waters and do a trial run with the service. The only downside is – the cost of setting up each new loan is $159 (rather than the significantly reduced cost that comes with a Pro or Plus account). If you're planning to create new loans on a somewhat regular basis (i.e. – more than 2 or 3 new deals per year), it's pretty easy to justify the cost of a Pro or Plus plan. Is ZimpleMoney Right For You? So what's the verdict? Is ZimpleMoney (aff link) the right solution for you? As someone who spent years managing their seller financed deals the wrong way, this service is WAY more sensible than collecting physical checks in the mail each month – there is no question. The service doesn't necessarily automate every aspect of your loan servicing process (for example, you'll still have to file your own 1098 forms each year – which ZimpleMoney can help with, but it won't complete the entire process for you). On the same coin, the service is also a lot less expensive than using an actual loan servicing company, especially when you start doing a larger volume of deals and you have several loans on the books to cover the cost of your monthly subscription. I have been following your blog and the blog of another well-known land investor for some time. You have provided a great deal of free information for people like me who are interested in the niche and it is much appreciated! This particular article however briefly touches on something that I have been wondering about for some time — seller financing in the post Dodd-Frank world. My understanding of the Act is that it severely limits the ability of investors to seller-finance to buyers who plan to use the property for owner occupancy or “recreational” purposes (regardless of whether the property is an existing residence or vacant lot where they intent to build a residence). Have you run into any issues in your business as a result? Have you received any legal advice on this issue? Thanks in advance for your response. P.S. As a matter of full disclosure, while I am a licensed attorney in New York, I do not specialize in finance or real estate in particular. And so I ask because I am genuinely interested to find out what your experience has been. Hi Vitaliy, thanks for your comment. My understanding is that Dodd-Frank does impact people who are selling houses and other “dwellings” with seller financing – however, I’m dealing exclusively with vacant land, which (according to my non-legal opinion) falls outside the definition of residential real estate, as it’s defined in Regulation Z. Have I run into any issues with this? No. Have I hired an attorney to advice me on the issue? Not yet. Have I have paid attention to it and done quite a bit of reviewing myself? Yes (which I realize, is not the same as hiring an attorney). So with that said… you should definitely take my opinions on this with a grain or two of salt. As to your point on “recreational” purposes – can you point me to the place where this is mentioned in either Regulation Z or the Truth in Lending Act? I just did a search for that word in both documents and couldn’t find an occurrence of it anywhere. If it is mentioned somewhere, I’d be curious to know how that particular use is defined. Without a clear explanation as to what that means, that sounds like some very loose terminology. Great idea for outsourcing the little things that tend to pile up and take up all of your time. I’ve never thought about looking for a service like this. With all of the owner financing that you do, what problems have you run into as a result of Dodd-Frank, and what have you done to remedy them? You’ll notice that the word “dwelling” comes up a lot – and a dwelling is NOT synonymous with vacant/unimproved land. In just about all of these restrictive rules outlined in the government legislation, land sits outside of the standard definition of “residential real estate”. Since I’m dealing exclusively with vacant land when I use seller financing, it’s not something I’ve had to spend much time worrying about. Of course… I’m not an attorney – so don’t take my word for it. Check with your own legal professional to verify this. I’m just telling you what my understanding is after reviewing the information I have on the subject. Thanks for the input. I’m only just learning about the implications of Dodd-Frank and it’s nice to hear from others who have gone before me. I’ll definitely be running everything by my attorney before taking any major steps forward. I use zimpleMoney and agree it is pretty good. Customer service is great. I like that it gives some legitimacy and transparency for buyers. do you use an accounting system to handle your expenses and revenue for tax season? One that integrates with simple? I have tried quick books and xero. Seems like a round peg square hole to me all around. Still muddling with excel. Hey Patrick – thanks for sharing! Glad to hear you’ve had a good experience with ZM. I use quickbooks for my accounting and it hasn’t been a huge problem for me (so far anyway). I’ve wondered about Xero but haven’t had any first hand experience with it. Is there some specific integration you’d like to see between the two systems? My vision is that QB or any accounting software can match your incoming revenue to a specific property. I know QB can link up to your bank account but when I get ACH from zimpleMoney it shows up as lump sum for all payments on a day. I don’t get 1 ach transaction per loan. So no way to match the incoming revenue to a property. I might just not get the accounting software. My vision is you input an asset then can log all the expenses for the asset and the revenue for the year. I can’t seem to do that effectively. Again I might be an accounting block head. I want tax season to go smoother this year. I know what you mean – these software programs all seem to be capable of doing a lot, but figuring out how to actually make it work is a whole other story. Lots of quality content. Learned a few things I didn’t know which is always helpful! I want to get to the point where I can owner finance some investments soon. Seeing how others do it and charge of really is a big business. Thanks Matt! Glad you got something out of it. Owner financing can be a great way to create passive income AND increase your long term revenue. It’s definitely worth exploring! Thanks Rekhila! Glad you enjoyed it. Thanks for this article. I had never heard of Zimple Money. I do primarily rentals now, but I used to do a lot of owner financing pre-Dodd-Frank. And I just financed a small piece of land earlier this year. So this is definitely of interest to me. What is the benefit of Zimple Money or similar apps and not just going directly to your bank and doing ACH? I think we could do that for $25-30/month, and I think the transaction fees would be comparable or smaller? Am I missing something on the benefits of Zimple? ZimpleMoney basically is doing an ACH between bank accounts, and I think the benefit comes into play once you have more than a few payments being processed each month, because the monthly fee for each monthly payment is just a few bucks (in addition to the monthly subscription fee of $39 or $35 – depending on what plan you use). So if you’re just pulling in one or two monthly payments, it’s probably the same deal as what you’re currently doing… but if you want to scale it up to 5, 10, 20, 50, 100 or more monthly payments, ZimpleMoney will be MUCH cheaper in the long run. Thanks for what you are doing here…it is a real “Go To” guide for both inexperienced and experienced RE investors. I will keep coming back for more! Did I miss whether this service handles escrowing taxes and insurance? In my view a requirement for servicing a loan on a house. Hi Curtis – I believe you can add additional fees to cover these things, but in terms of the accounting aspect of it, my assumption is that you’d have to keep track of these things on your end (disclaimer: I haven’t actually tried this with ZimpleMoney – so don’t quote me on this – if you want to be 100% sure of what it can do, be sure to reach out to them directly).